Soprano Michelle Johnson has been praised for her “extraordinary breath control and flawle​ss articulation. 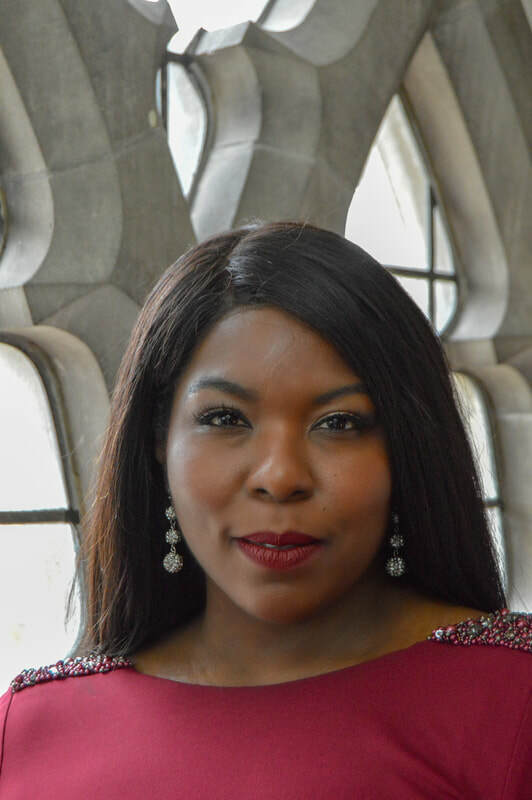 Her voice is velvety and pliant – a dulcet dream.” In upcoming seasons, Johnson makes a debut with Opera Columbus, Knoxville Opera and Opera Idaho singing the title role of Aida, Chautauqua Symphony Orchestra singing Verdi’s Requiem and Madison Opera singing Santuzza in Cavalleria Rusticana. Last season, Johnson returned to Lyric Fest for “I Hear America Singing,” Sarasota Opera for Madame Lidoine, Dialogues des Carmélites, Boston Landmark Orchestra for Beethoven’s Symphony No. 9 and made a debut with Columbus Symphony as soprano soloist in Verdi’s Requiem which all lead to rave reviews. Past seasons included Leonora in Il trovatore, Hawaii Opera Theatre, Minnie in La Fanciulla del West, Kentucky Opera, Élisabeth de Valois in Don Carlos and title role Aida, Sarasota Opera, title role Manon Lescaut and Donna Anna in Don Giovanni, Opera Philadelphia, Mimi in La bohème, Annapolis Opera and PortOpera, Aida, Glimmerglass Music Festival and Opera Santa Barbara, Leonora in Il trovatore and Alice Ford in Falstaff, Opera in the Heights, soprano soloist Verdi’s Requiem and Beethoven’s Symphony No. 9, Orquesta Sinfónica del Principado de Asturias, Beethoven’s Symphony No. 9, Boston Philharmonic, an all French Opera concert with Maestro Michel Plasson, Montpellier, France, soprano soloist in Vaughan Williams’ Dona nobis pacem with Juneau Symphony, and an all Verdi concert with The Princeton Symphony Orchestra under the baton of Maestro Rossen Milanov. She also performed the title role in the rarely performed Sakuntala with Teatro Grattacielo, to very favorable reviews. ​A graduate of the prestigious Academy of Vocal Arts in Philadelphia, she was seen as the title role in Suor Angelica, Leonora in Oberto, Donna Anna in Don Giovanni, the Countess in Capriccio, and Alice Ford in Falstaff. Winner of numerous competitions, most notably Grand Prize Winner of the Metropolitan Opera National Council Auditions, William Matheus Sullivan Foundation, Gerda Lissner Foundation and the Giulio Gari Foundation.